Samsung has begun construction on a massive semiconductor production plant in South Korea that will cost 15.6 trillion won (approx. $14 billion) to build. Dubbed "Samsung Semiconductor Valley," it will be the most expensive semiconductor plant ever built. The site will be the size of 400 soccer fields, which is almost as big as Samsung's largest two semiconductor plants put together. It will begin producing chips in 2017, and Samsung will be hoping the facility can take its already strong semiconductor business to new heights. 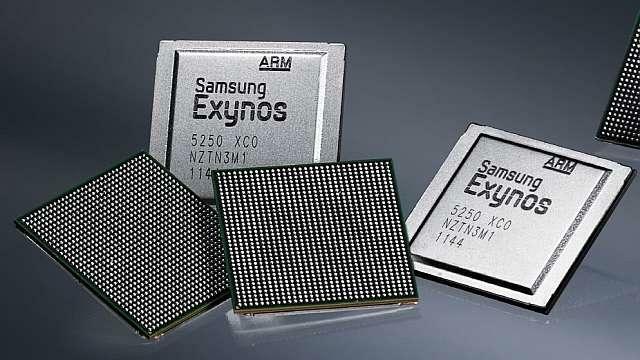 Samsung already supplies mobile chips to some of the world's biggest manufacturers — such as Apple — while many of its own devices are powered by the home-grown Exynos processors. The Galaxy S6 and S6 edge are the first Galaxy S devices to use an Exynos chip exclusively. Samsung is also leading the way in semiconductor production with a cutting-edge 14-nanometer manufacturing process that allows chips to become smaller, faster, and more power efficient. The new facility will help Samsung produce those chips in greater numbers than ever before, and enable it to continue pushing the boundaries of what's possible with mobile chips — further cementing its position in the industry. Analysts see Samsung's future in component production as the smartphone market becomes increasingly saturated and more competitive. The South Korean's latest handsets appear to be doing very well, but sales were falling before they hit the shelves. Samsung's latest quarterly earnings showed a 20% decrease in smartphone sales year-on-year, while profit from its semiconductor business rose 50%. It is already the second-largest manufacturer of semiconductors, behind only Intel.